Would you like to know why the Arizona Ivory Travertine Marble is the perfect natural stone for a residential build? Two words: resale value! When it comes to building homes, the sturdier the build, the more that piece of property is going to cost, regardless of the location. At some point, quality will come into play and it will show in the property value of the home. The price of property is determined by location and quality. While location can’t always be helped, the quality of a home can be. As a developer or contractor, this is where you’ll want to consider incorporating a natural stone like travertine into a build. Travertine is going to be relatively the least expensive natural stone for builders to invest in. Unlike other natural stones, travertine won’t require as much upkeep depending on the type of surface finishing you require. Also, travertine’s colors are more neutral, appealing to a vast array of buyers. Choosing a natural stone like travertine won’t offend potential buyers from purchasing your piece of property. Cream and Ivory are the main colors, but what gives travertine tile a little liveliness are the beige overtones that has a decorative swirl throughout the surface. Travertine’s natural surface finishing is a honed, matte texture with a straight-edged finish. It’s a perfect choice for indoor and outdoor designs. The best, cost efficient way for a developer or contractor to buy travertine tile—even if it’s already at a discounted price, is to buy in bulk. First of all, you’ll need to find a good wholesale distributor that will offer you the best pricing available. You also want to find one that won’t overcharge you in delivery costs. Nalboor Tiles, located in South Florida, offers quality discounts and keeps a warehouse stocked full of travertine tiles that are ready to ship to your own warehouse or construction site at a moment’s notice. With some natural tile wholesalers, you may have to wait a few weeks—months even for your shipment to arrive. Some people have to wait that long just to get their supply of natural stone because oftentimes, the stone is quarried overseas. So the time it takes to cut the stone from the quarry and ship it to the United States, and then have it shipped across country (if necessary, depending on the delivery destination). All this can take time, and in the contracting business, time is usually equivalent to cost. With Nalboor Tiles, the inventory is stocked right in our Miami warehouse, conveniently located near the ports to easily receive an ongoing supply of travertine shipment so that we never run low on supply. Nalboor Tiles sells quality travertine stone in 18” x 18” x 1/2” size tiles starting from $1.95 per square foot. This particular tiles is sold by the crate at 360 per square foot. Any order over 10,000 square feet will require a quote. Why Buy So Much at Once? As a contractor, if you choose to order travertine tile on an as-needed basis—meaning you’re only buying enough tile that’s needed for a certain project, then you’re risking coming up short with your supplies. Even if you think you have estimated the exact amount of travertine tiles needed, and that amount even exceeds the minimum order quantity, it is important to take into consideration that tiles can crack or break during transit or installation. Having an abundant supply of travertine tiles stocked in your warehouse will not only allow you to be able to supplement any damaged tiles, you’ll also be ready to start your next project right away! Buying in bulk will always keep you prepared to take on any unexpected projects that may come your way. By having your inventory on-hand, you won’t risk giving potential customers time to consider what your competition can offer them. With a warehouse full of travertine tiles ready to go, you’ll have the advantage of quickly finishing your project on time, or even before the due date. Finishing constructions projects in a timely fashion goes a long way with satisfying clients—so much to the point where they may happily refer you to other potential clients. Travertine is also a versatile building material. Because of its porous properties, it’s widely used for outdoor décor for balconies, patios and flooring around pools and hot tubs. Its textured surface reduces the chance of a slip and fall in damp areas like bathrooms, laundry rooms, basements, and even outdoor kitchens. Travertine also enhances a home’s curb appeal. If the exterior of a home isn’t attractive, oftentimes buyers won’t even bother to take the time to tour the interior. With most of real estate purchases happening online, many buyers often will buy a home based on how the exterior looks. If you’re looking for a travertine distributor that offers quality merchandise, consider Nalboor Tiles. We offer free samples just so you will know exactly what you’re investing in so that there will be no surprise when your crate of travertine tiles are delivered to your warehouse. If you are interested in ordering a free sample of our Arizona Ivory Travertine tile, click here. We trust that you will be more than satisfied with our quality. 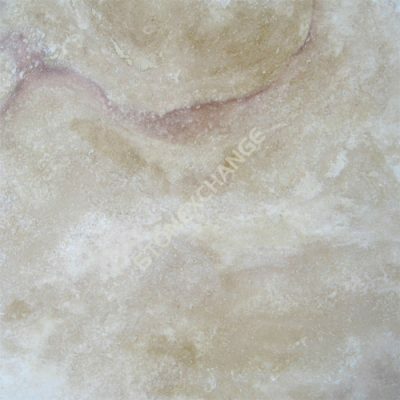 As aforementioned, our travertine tiles start out at $1.95 per square foot. So the more you purchase, the less the unit price may be for you. If you would like to discuss exactly how much more of a discount you can get, contact us online or call us at 1-305-501-4548 today!